Sport Court gymnasium flooring is the best choice for a low maintenance and cost flooring system. Sport Court is the originator and innovator of modular flooring technology. It is the only floor system that has both point and area elastic characteristics and with its patented later forgiveness™ feature, is one of the safest sports flooring systems in the world. The systems can retrofit over most existing flooring surfaces and does not require adhesive or fastener, so moisture testing is not required! 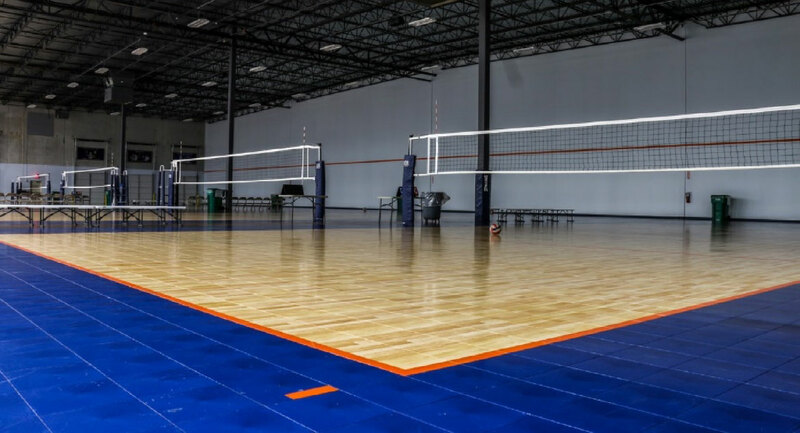 With a 15-year manufacturer’s warranty and hundreds of thousands of square feet installed worldwide, Sport Court is a proven choice for your facility. Originally developed for the roller hockey industry, Defense™ is a proven performer for all kinds of activity. Its low cost makes it an excellent surface for elementary and middle school gyms and activity centers. There is a wide range of color options which makes it possible to customize any space. We would like to help you with providing the perfect Indoor Court you have in your mind. Contact us so we can team up as soon as possible.